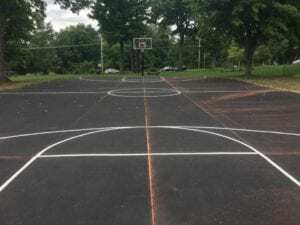 Compare our work and see a real difference. 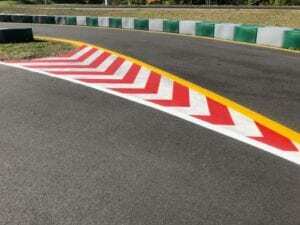 We are the trusted Line Striping Contractors servicing municipalities, racetracks, airports and more across the USA. 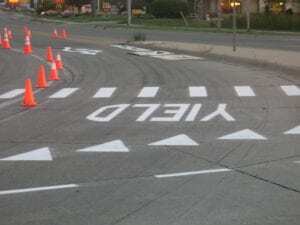 Selecting a professional striping contractor should not be solely based on lowest price. We encourage potential clients to research and compare our work to the competition. Taking real pride in all of our work gives our projects a real difference you can see with the quality and durability you can trust. 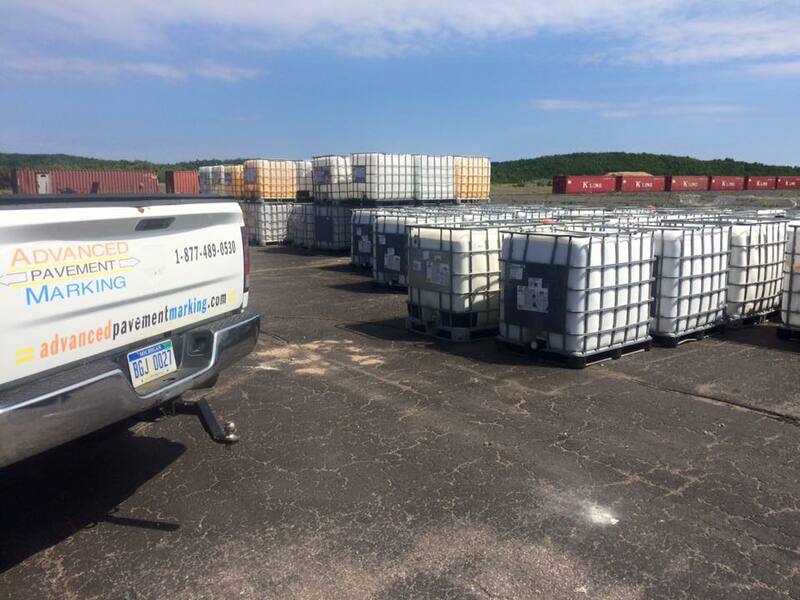 Our crews strive to provide the highest level of standards in all of our projects no matter the size or price scale. Every APM project is done using the same set of principles and high quality materials that makes our work standout with the long term durability our clients can count on. Our passionate craftsmanship has earned us a reputation as one of the finest in the striping industry. Selecting line striping contractors should not be solely based on lowest price. We may not always be the “cheapest” price, but when you analyze our level of quality, durability and customer service we are a bargain that is tough to beat! 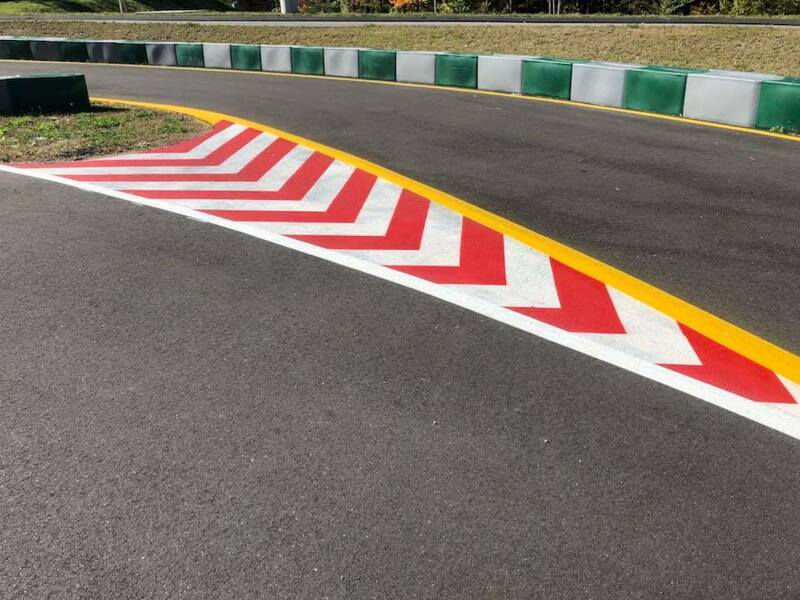 Learn why municipalities, airports, racetracks, countless commuters and businesses of all sizes across the country select APM over other line striping contractors. 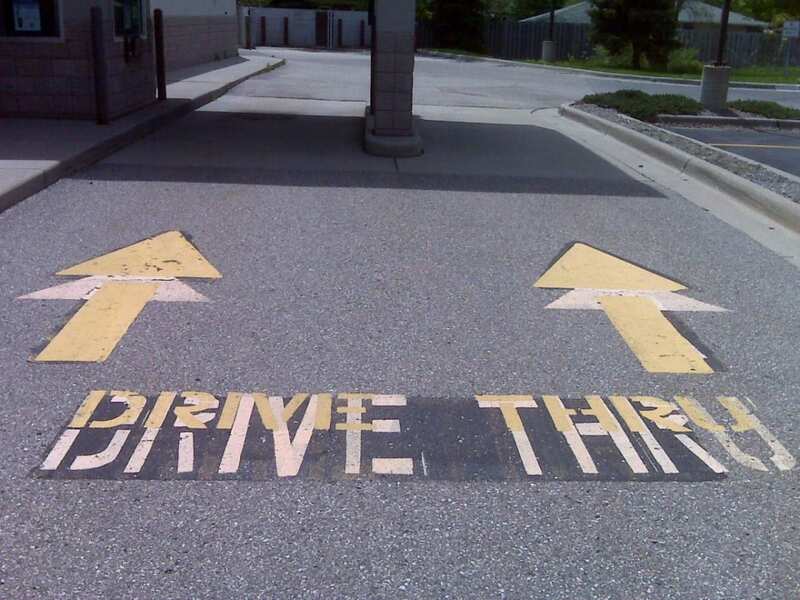 Seeking qualified striping professionals should never be based solely on lowest price. Do a “apples to apples” comparison, run a background check, inquire and view past projects. 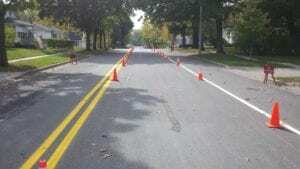 We are experienced line striping contractors working all across the United States. 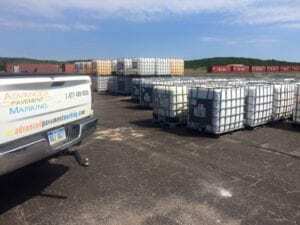 Examples of our multi-state projects include: painting racetracks in New Jersey and Georgia , servicing airport runways in Ohio and even bicycle velodromes in Wisconsin. 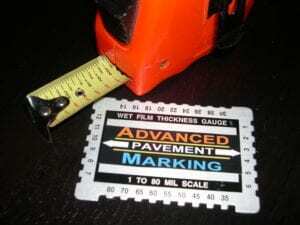 APM has established a well known reputation in the pavement marking industry for doing great work! Did you know: other striping and pavement contractors, sub-contract our services for consulting, project and equipment assistance in all corners of the country. Professional, knowledgeable, trustworthy is a quick description of every APM team members. All of our crews and staff have clean backgrounds and have in-depth experience in various construction fields. Clients can trust their project is receiving the best level of attention and professionalism it deserves, thanks to our crew members. Did you know: APM crews have passed strict Government background checks along with having ATL1 certification crucial for airfield clearance. Our team experience ranges from working on International construction projects, CAD, Heavy equipment operations, architectural and landscape design to horticulture management and more! 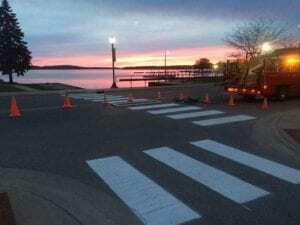 APM team members receive in-depth training in traffic control practices, DOT & MUTCD requirements. 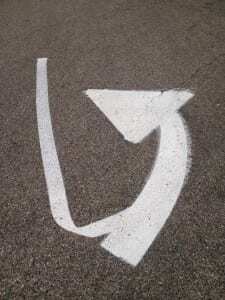 Let our crews take your pavement marking project to a new level. 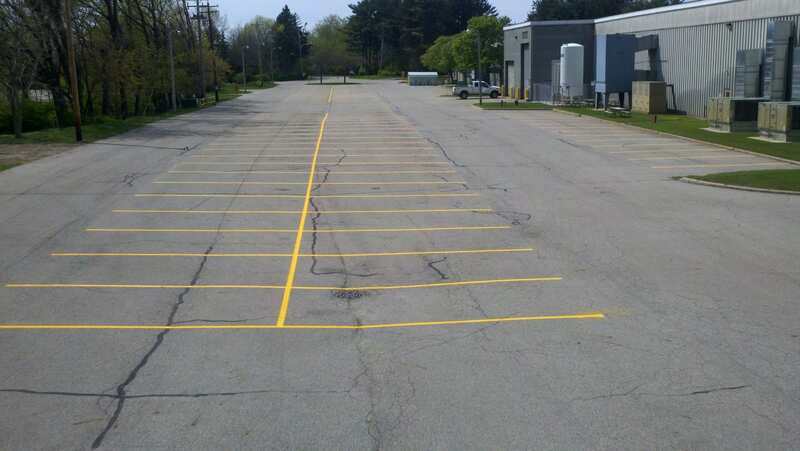 APM has serviced all types of line marking projects across the United States. 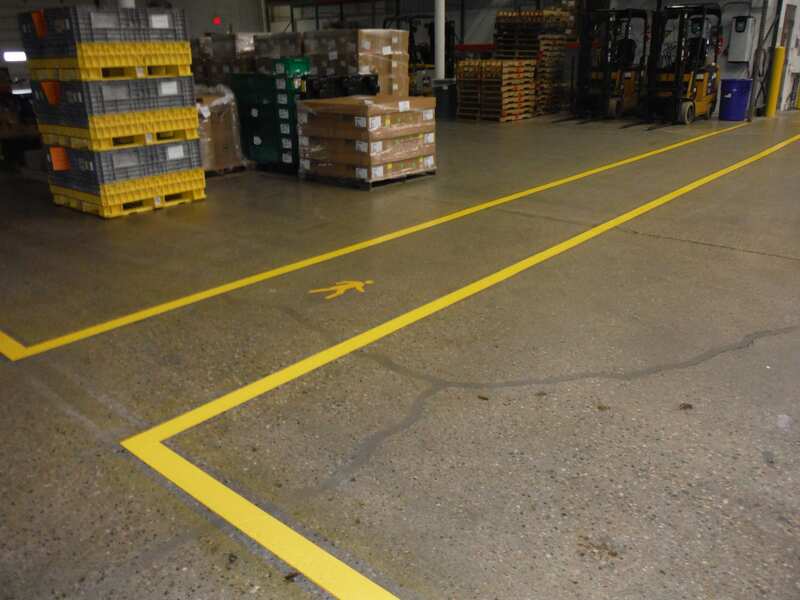 Servicing everything from striping chain stores, pavement marking entire cities and counties, painting airports including ones for the US AIR FORCE and even indoor marking services for factories and warehouses. Put our experience and materials to work in your project today! We firmly believe in honesty and integrity, our craftsmanship is top notch and it shows! Our extra steps in quality control ensures your project not only looks the best, but it has been applied in a professional manner ensuring long term durability. Advanced Pavement Marking passes strict inspection tests monitored by: State DOT’s, USAF, FAA and other onsite engineering and inspection firms. Clients have the comfort knowing we really do give more of what they pay. APM main workhorse machines are conventional air atomized Kelly-Creswell produced equipment. We also own and operate various marking machines from industry leading manufactures including Titan, MRL, Graco and MB. Our equipment is “COMMERCIAL GRADE” this ensures consistent and reliable markings. From 1 foot to miles and miles of painted line our machines will meet industry standards, giving your project the professional look and durability you can count on! Our equipment is designed to apply a wide range of coatings without compromising line quality or material thinning. We give you more of what you pay for! 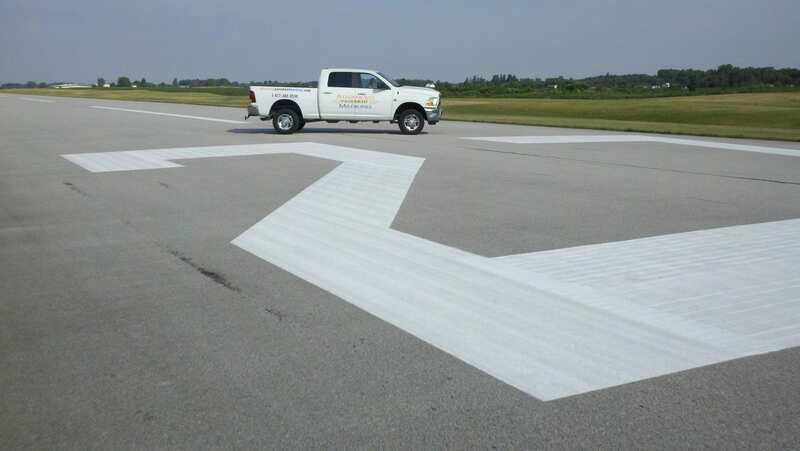 Not all striping companies can apply coatings to proper millage thickness without compromising line quality or thinning paints. This leads to rapid wear and premature failure. Advanced Pavement Marking® uses only the best materials that are proven to not only look great, but also have the longest service life. 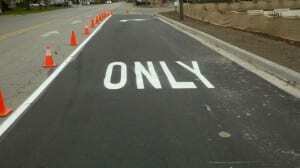 We do not purchase low grade off the shelf products that a majority of other striping companies use. APM products are typically special or pre-order materials that meet specific qualification standards and test criteria. Even our parking lot paints are specialized! We are the pavement marking professionals your project deserves! 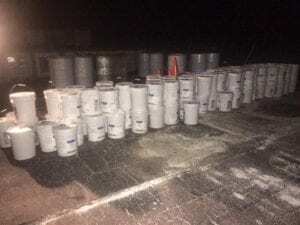 Did you know a majority of striping companies can not physically show you how thick or thin their paints are being applied at. Or the fact that line quality is not consistent from start to finish, with irregularities throughout an entire project. 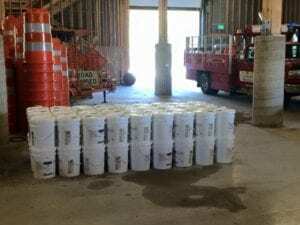 FACT is very few line striping contractors have paint thickness gauges and do not spend the extra time fine tuning or audit checking there work like we do. 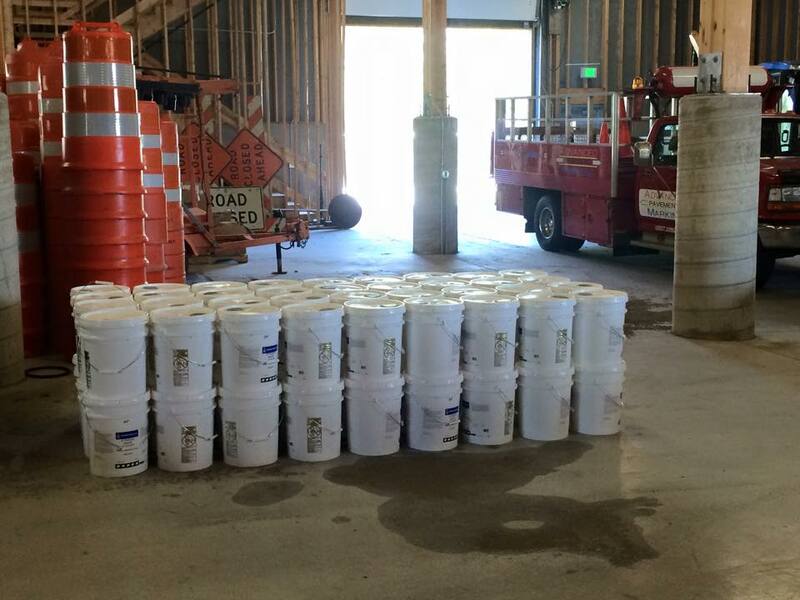 APM crews are accustom to working on projects that require passing strict inspection standards for airports and roads. We maintain a high level of standards and quality control into every project. Our passion and pride is on display and put to work around the clock in every project we service. We give you a difference you can see with the quality and durability you can trust! What do our client's have to say about our work? "APB is a National General Contractor and a division of a very fast paced property management company with multi-family properties in 14 states. APB requires responsive and high quality contractors to perform on our behalf. Advanced Pavement Marking® has been able to fit this criteria and because of that we are very pleased with Advanced Pavement Marking® and would not hesitate to recommend them at any time."